Being a new parent is the most rewarding role a person can take on in their lifetime. But with every new job, there is always a learning curve. There is no instruction manual on how exactly to be a parent, with every person taking on a different style of different techniques while figuring out what works best for them. 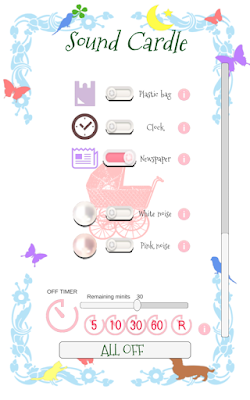 Our topic for today is a lovely lullaby app that is an amazing support in nurturing newborns, especially welcomed in Android or IOS devices of the new and fresh mommies and daddies with lack of parenting experience. The app that we are presenting here is called Sound Cradle, a perfect sound app that will mesmerize and calm your newborn when the situations get intense and disturbing. Feel free to check the app because offers such hypnotizing sounds like the sound of rain, ocean, shower, mountain stream, water, hairdryer etc. The sound effects are so powerful that even and you as an adult will want to take a nap for some time. From our experience, the app is a guarantee for the quality sleep of your little ones and will save you lot of time and nervous disturbances. Yes, we know how huge are the responsibilities and the need of attention for growing a baby but with the app that we are strongly recommending here it will be such a huge relief and will bring more joy in your parenting job. This amazing lullaby app is free to download on Google Play Store and App Store or check the official website for more information. 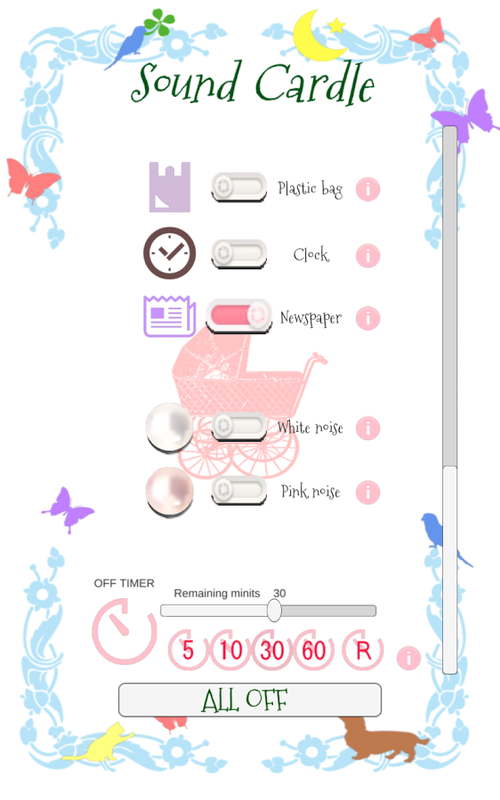 Enjoy your parenting days with Sound Cradle!